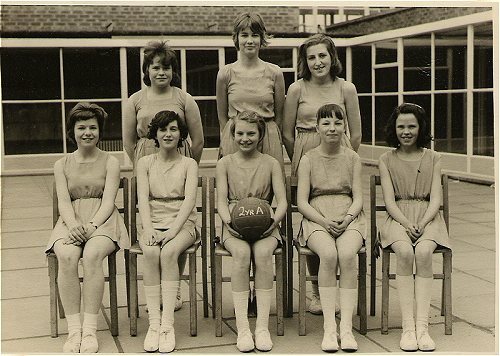 Here's a photograph sent in by Gladys Johnston of the netball team circa 1959. 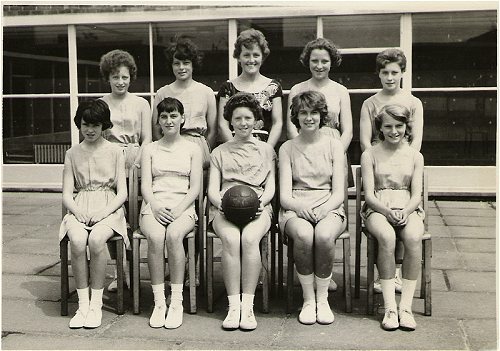 If you recognise any of the names please send in the details. 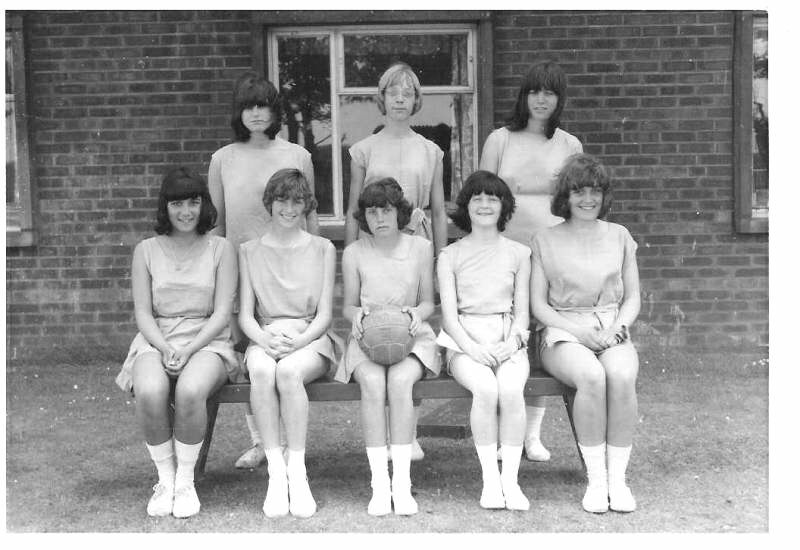 Back – ?, ?, ?, ?, ?, ?, ? 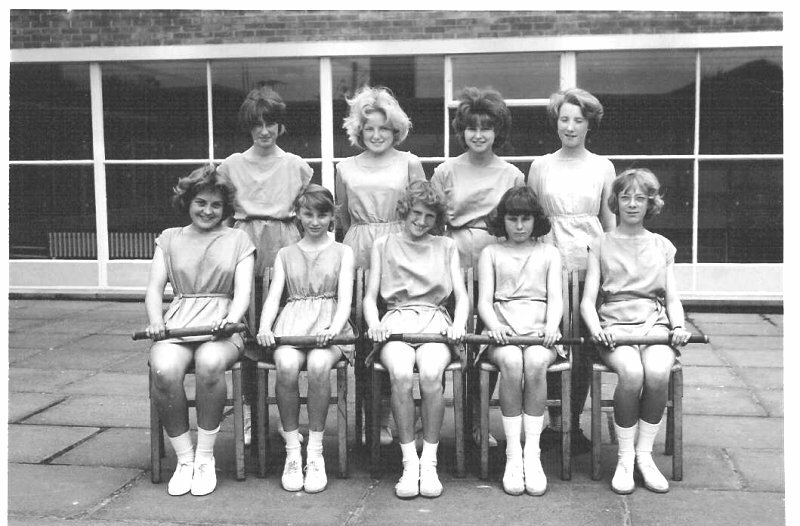 Middle – Lynn Barnes, ?, ?, Lillian Beech, ?, ?, ? 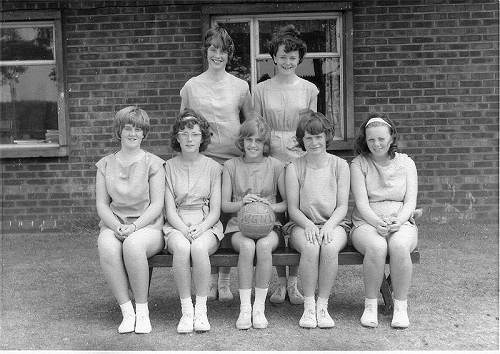 Front – Geraldine ?, Susan ?, Sandra Carter, Linda Costello, ?, N? 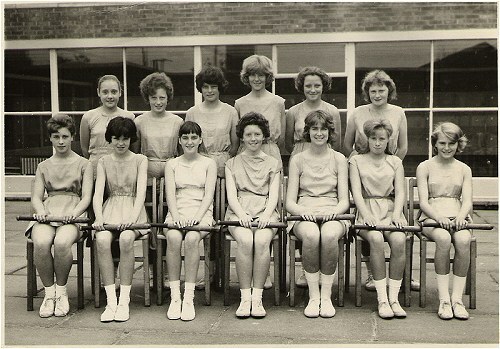 Back - Eileen ?, Susan ?, ?, ? 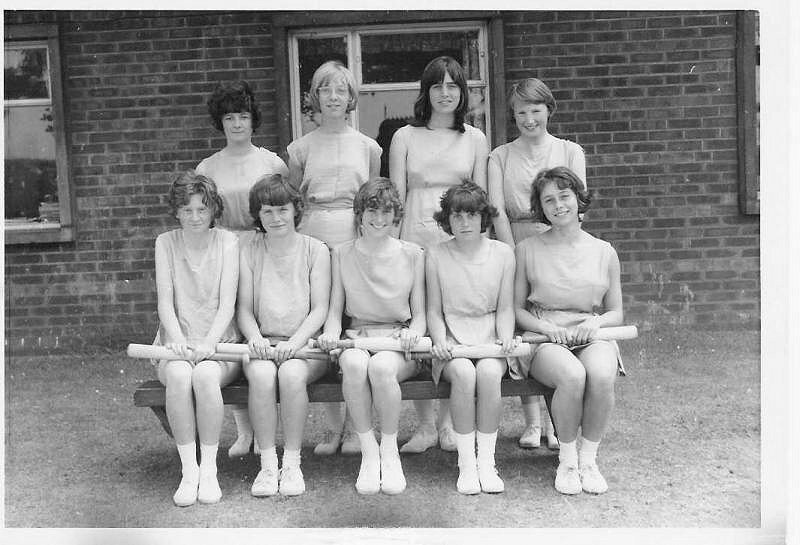 Back – Barbara Pinchers, Susan ?, ? 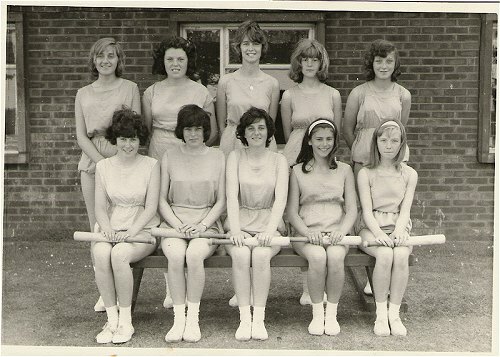 Back – Lilian Beech, Brenda Baxter, Miss Adison, Silvia McFee, ? 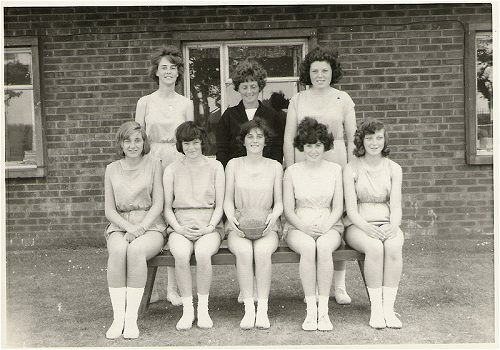 Back – Norma Brennan, Lilian Beech, Brenda Baxter, Silvia McFee, ? Thanks to Irene for supplying all the names as well ! 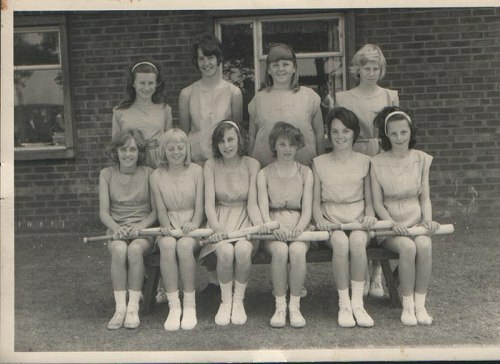 Back – ?, Shirley Harding, Barbara Pinchers, ? Front – Adrienne Cockroft, ? 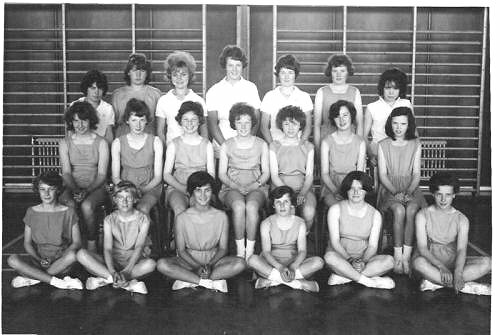 , Lyn Beatty (Captain), Linda Costello, Susan ? 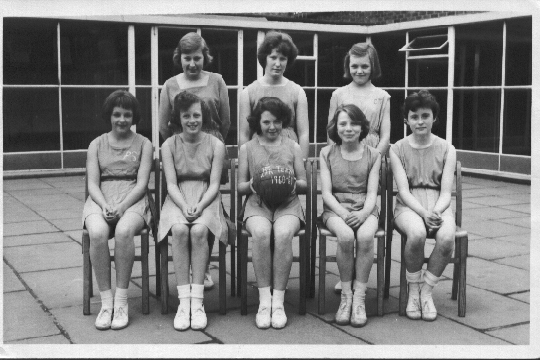 Irene Boulton (holding ball), Vera Codling, Linda Beggs. Copyright (c) 2005 St Georges Reunion.